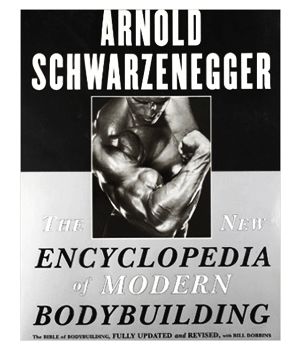 Why Should You Consider Reading a Bodybuilding Book? What Can You Expect to Learn in a Bodybuilding Book? Maintaining physical health and wellbeing is vitally important to our success and happiness in life. And in order to reach our health goals, we need to be informed and educated on relevant subjects. Particularly when it comes to athletics and bodybuilding, knowledge is key to success. If you’re a bodybuilder or wish to start becoming a serious weightlifter, you’re probably wondering about the best ways to obtain and absorb information about your new path. Well, you’ve come to the right place! In this guide, we’ll go over the best books for bodybuilding. These books, written by experienced weightlifters and successful authors, shed a fresh light on all the most important aspects of proper bodybuilding; from exercise routines, to proper form, to diet and beyond. A good bodybuilding book will give you a one-stop shop for everything you need to know about the world of bodybuilding. You may be wondering why it’s necessary to read a book (or several) about bodybuilding. After all, isn’t successful bodybuilding about hitting the gym and getting swole? Well, that’s the end goal, yes – but in order to approach this hobby in the right way, it’s important to arm yourself with the knowledge necessary to succeed. By reading a good workout book, you can learn the basics, while avoiding many of the potential pitfalls and dangers associated with this rewarding hobby. For instance, beginners may not realize how important proper form is to successful weight training. Without proper form, your efforts may be wasted as you will not be training in the most efficient way. Worse yet, you will be much more prone to injury and long-term health complications. And, as mentioned, form is just one of the many things you will learn in the best bodybuilding books. The best books for bodybuilding can take a complete beginner with no strength training experience and turn them into someone who is equipped with the knowledge necessary to reach their strength and fitness goals. Of course, you’ll still have to put in the work at the gym, but you’ll have a huge head start on success by following a guide. And don’t worry – we’ve specifically chosen several good bodybuilding books for beginners on our list to help anyone who is just starting out. Without further ado, here is our complete list of the top 10 bodybuilding books available today! 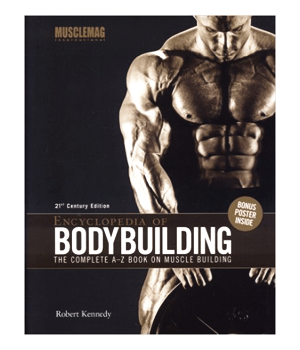 The Encyclopedia of Bodybuilding is one of the most well-known and well-respected books on bodybuilding. Originally written many years ago, the book has been updated for the 21st century, complete with all the advancements in the fitness and health world. This 800-page book is written in encyclopedia format, offering an a-to-z look at every aspect of bodybuilding and fitness science. MUCH more – over 800 pages! This book was written by Robert H. Kennedy, a legendary author and fitness expert. In his 73 years of life, Robert Kennedy authored more than 50 books, including many New York Times best sellers. His publications covered a variety of topics, but his specialty was always health and fitness. He was the founder and owner of MuscleMag International, the popular bodybuilding magazine. He passed away in 2012, at the age of 73. This book is best for anyone who is interested in bodybuilding. It covers just about every aspect of health and fitness, which means it’s useful for beginners and experts alike. And it’s encyclopedia format makes it easy to find the information you’re looking for. Overall, this is the best bodybuilding book out there and our top recommendation. This book covers the complete a-z of the bodybuilding world. Written by legendary bodybuilder turned actor turned politician Arnold Schwarzenegger, this book has earned it’s nickname of the “Bible of Bodybuilding”. Originally authored in 1985, the book has been fully updated and revised for the modern age. From the basics to the most recent advancements in the world of fitness, this book offers it all. My guess is I don’t need to tell you who Arnold Schwarzenegger is. This larger-than-life character has been in the public spotlight for decades – first as a professional bodybuilder, later as an actor (of Terminator fame), and finally as a politician. He is widely considered to be the greatest bodybuilder of all time – who better to learn from, then? This book is best for anyone interested in bodybuilding. It’s authored by arguably the biggest icon of professional bodybuilding, and it provides a complete and up to date guide to the world of bodybuilding – from the bare basics to expert techniques. Strength Training Anatomy is a close examination of the actual anatomy of the weightlifting process. Through written explanations and full-color graphics, the book explains in detail all the muscles used in various exercises. It gives you an up close and personal look at what’s actually going on in your body when you perform certain lifts and exercises. It also strives to teach proper weightlifting form and technique. The book contains over 600 full-color illustrations, which make for easy absorption of the wealth of knowledge offered in these pages. There is also a section on common weightlifting injuries, how they happen, and how to prevent them. 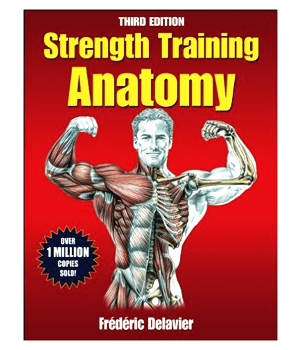 Strength Training Anatomy is written by Frederic Delavier, a French artist, writer and anatomy expert. Unlike many of the authors of books in this guide, Delavier’s speciality is human anatomy, rather than bodybuilding itself. Delavier has written many books on human anatomy, many of which are related to sports medicine, bodybuilding and exercise science. His most popular book is definitely Strength Training Anatomy. This book is best for those who have an interest in human anatomy, and who want to learn the physiological processes behind the process of weightlifting. It is a great book packed with knowledge, but it may be a bit advanced for beginners. It also focuses more on anatomy rather than the various other aspects of bodybuilding, such as nutrition. We recommend this book primarily for experienced bodybuilders looking to further expand their knowledge. 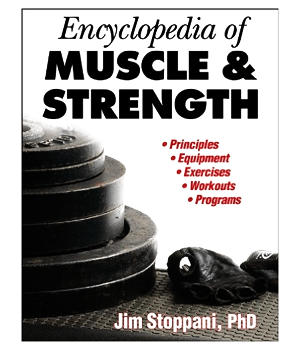 Encyclopedia of Muscle and Strength is a well written, research-based book that dives deep into all the various facets of strength training and muscle building. The book aims to be a comprehensive training guide, covering everything from basic definitions of concepts, to information on the best type of equipment, to examinations of the role of each muscle group, and much more. This book is authored by Jim Stoppani, a legendary fitness expert and workout coach. Jim is a Yale University School of Medicine research fellow, and he uses his immense knowledge of fitness science, nutrition and anatomy to educate people on how to achieve their fitness goals. Jim Stoppani is an author, researcher, and founding owner of JYM fitness supplements. This book is best for those with an interest in anatomy, biology, and the human body. It dives into the science behind working out, giving you a complete look “behind the scenes”, so to speak, of what’s going on in your body when you strength train. It’s digestible enough for beginners, yet informative enough for experts. Championship Bodybuilding is a complete bodybuilding instruction manual. It goes all the way from the most basic techniques and strategies all the way to the most advanced, cutting edge fitness science. It’s conveniently divided into three sections based on experience level. One of the best parts about this book is the 3 defined sections of workout techniques and schedules that are clearly broken down by experience levels. This format makes it easy to read the information you need for your specific situation, without getting overwhelmed with information. Chris Aceto is a highly knowledgeable and respected figure in the bodybuilding world. He has trained with, and later consulted for, some of the biggest names in the business. Today, he runs a personal training and consulting company, working with pro bodybuilders to get the results they want. He holds a degree in applied exercise science from Springfield College. For the most part, this book is meant for experienced bodybuilders looking to gain an edge over the competition. As the name suggests, it’s all about competitive bodybuilding and winning that next championship. With that being said, it contains enough information that just about anyone can benefit from reading this book! Bigger Leaner Stronger is a simple guide that aims to show men how to build the physique of their dreams, without resorting to extreme diets, expensive supplements, or ridiculous training schedules. The author argues that strength training is a lot more simple than a lot of fitness “experts” want you to believe; and he intends to provide a clear cut, simple solution to help you reach your goals. It’s also one of the best nutrition books on this list. 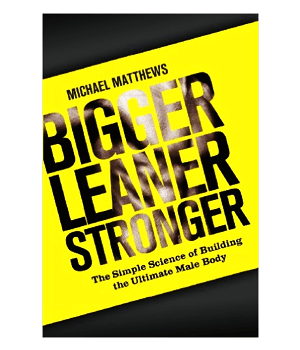 This book is authored by Michael Matthews, a well-known fitness expert and owner of the MuscleForLife blog. Michael has spent decades training, and he’s learned the hard way what does and does not work. He takes a no-nonsense approach to fitness, explaining in simple terms how to reach fitness goals and build strength, without wasting time or money. This book is best for just about anyone looking to build a better body. It’s one of the best bodybuilding books because it cuts through all the nonsense, all the BS, and all the misinformation, and gives you a clear-cut path to a healthier lifestyle. It’s a good bodybuilding book for beginners, but it’s also great for folks who are more experienced but have not yet achieved the results they want. Bodybuilding Anatomy is a complete resource for those looking to gain body mass and sculpt the body of their dreams. From basic lift instructions to advanced techniques and nutritional information, this book covers it all. This book is written by Nick Evans, a well known author and fitness expert. Nick is an MD, so he has the educational background to back his advice with solid, science-based information. He is also a well known and respected member of the fitness community worldwide. 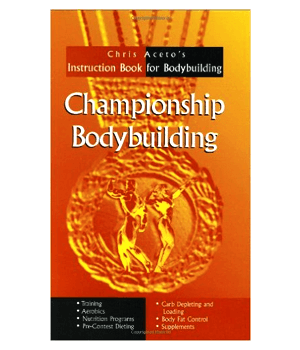 This book is best for those looking to learn the process of bodybuilding from start to finish. It’s one of those workout books that focuses on anatomy and gives you a detailed understanding of the physiological process going on inside your body. It contains more routines that most exercise books, offering over 100 exercises with many more variations. Better Than Steroids is a workout and nutrition book that aims to improve your results at the gym. The basic premise is that proper nutrition combined with proper technique is far better than taking steroids to increase your performance and results. 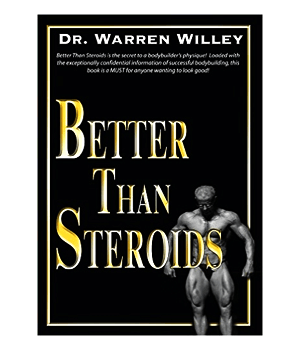 This book is authored by Dr. Warren Willey, a medical doctor and fitness expert with 20+ years of experience. Dr. Willey is the Medical Director of the Fitness Medical Clinic, an organization that focuses on preventative health using exercise and diet. This book is best for those wishing to learn the nutritional and dietary elements of successful bodybuilding. It goes very in depth on the subject, and we added it to our list of the best books for bodybuilding because it contains scientifically sound research that explains just how important diet is to our success in strength training. With that being said, it focuses less on actual exercise technique, so it’s not quite a complete guide for beginners. 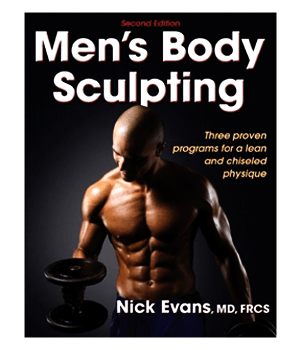 Men’s Body Sculpting by Nick Evans is a complete guide to sculpting a better physique. It focuses on three distinct, proven programs that help develop lean, sculpted bodies. From generating mass to reducing fat, this is one of the best bodybuilding books because it covers all the bases! This author has in fact already been mentioned on our list of the best books for bodybuilding! 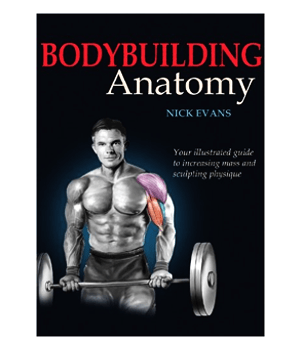 Nick Evans is also the author of the popular Bodybuilding Anatomy book, as well as a variety of other works. Evans is a medical doctor, with years of experience both in the medical field and in the world of fitness and strength training. This book is best for those looking for a specific, detailed program to follow. While most of the exercise books on this list contain lots of valuable information, most of them don’t provide specific programs to follow. Because Men’s Body Sculpting does just this, it’s a good bodybuilding book for beginners. It’s also a solid choice for experienced lifters, because it also contains valuable information about how to maintain your physique over the years. 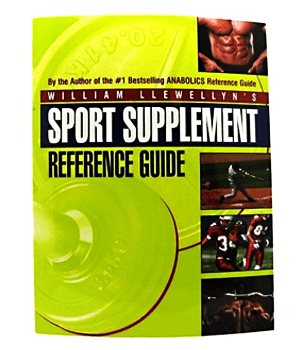 This book is very unique in that it’s not really about bodybuilding, but more about the supplements that many bodybuilders use. It aims to be a complete resource to teach you the ins and outs of the supplement industry, what each supplement does, what works and what doesn’t, and much more. This book is written by William Llewellyn, a research scientist who has for years examined the ins and outs of the fitness industry. He is an expert on supplementation, drawing from years of academic research as well as hands-on experience. This guide is best suited for people who are experienced bodybuilders but are looking for solid information on supplementation. It can be difficult to cut through all the hype of the supplement industry and figure out what really is worth taking; but this book can help you do just that! Thanks for reading our list of the best books for bodybuilding! We hope you now have an idea of which book(s) you’d like to purchase and read. All of these are solid choices – it’s just about finding the one that’s best for you. We’d also like to recommend that you explore the rest of our site. We primarily review and analyze fitness supplements, and we have detailed, research-based guides on just about every type of supplement there is. While having a solid understanding of bodybuilding techniques (which these books can teach you!) is absolutely essential, using supplements can help you achieve your goals faster and improve your results. Check out the rest of our site to learn more!